U.S. Thread Major Diameter 0.463 in. U.S. Thread Pitch 32 tpi. Packaging Dimensions 2.4 in. x 1.4 in. x 0.8 in. This is a good switch. It does what it is supposed to. 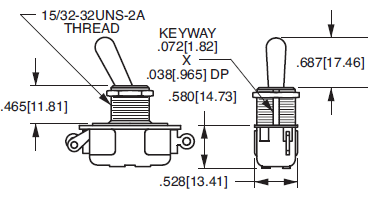 My issue is the available selection is limited for this type of switch. It barely fit into my build. 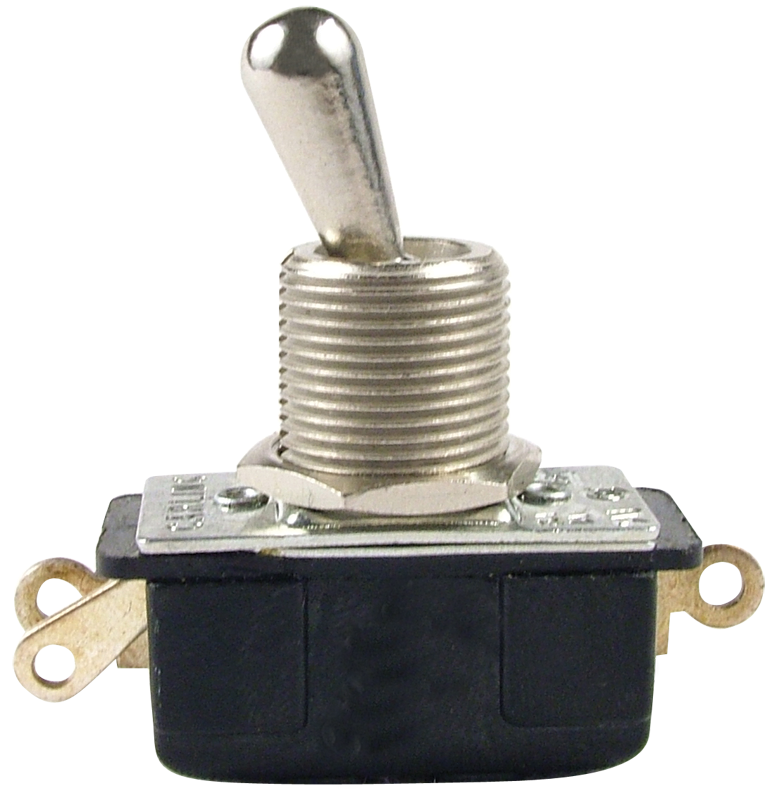 I wish there was an available smaller size SPDT switch that fits into a 3/8" hole that is rated to handle a few amps. This would have been more ideal for my situation. But I couldn't find it on this web site. Perfect replacement for Fender amp, good quality product. Prompt shipping, great service.